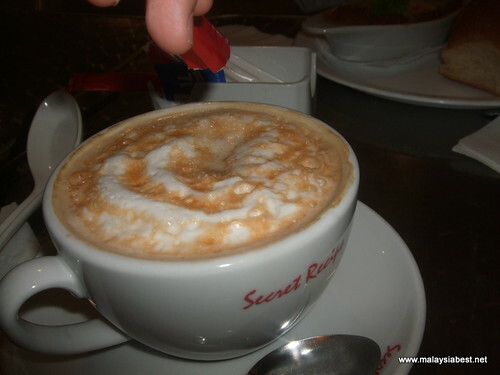 Over the years, Secret Recipe has dropped further and further down my list of places to eat. Maybe it is because competition from other cafes, maybe it is because I have weaned myself from their cakes, maybe it is because their standard has dropped. In fact, we never even go to Secret Recipe anymore. However I was near the IC church in Pulau Tikus and it was lunch time. So, I head over the Bella Row with my #2 and #5 son. My #2 son had the lasagna. Nothing to complain but nothing special either. My six years old wanted the chicken cordon bleu. He ate about 1/3 of the portion and we ‘tapau’ the 2/3 home. He said the chicken is too ‘hard’, meaning too dry. They are having some RM9.90 meal which changes every week (I think). I had a bowl of Singapore laksa which is just too weird for this Penang lang. 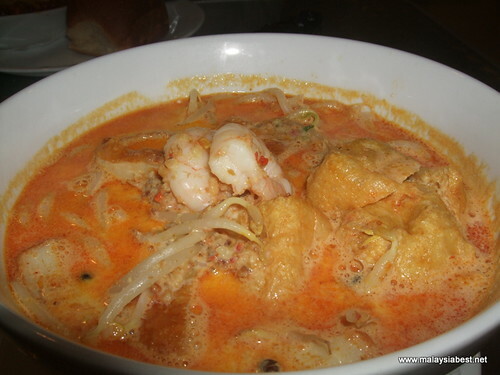 It is like pouring a bowl of curry mee into a bowl of laksa and the noodle is the laksa rice noodle. Sorry lah, I really had a hard time adjusting my tastebuds because it is nothing like my favourite Penang ‘cham laksa’ which is the Thai lemak laksa mixed with Penang asam laksa. With one iced lemon tea, one cup of coffee, one slice of chocolate mud and two brownies (which we tapau), the damage was RM83+ So, I cannot categorise Secret Recipe as family restaurant and yet, it doesn’t live up to the standard of restaurants like Chilli’s or TGIF. The outlet in Gurney Plaza gave me an even worse experience because they used broken and chipped cutleries. I had found yummier lamb shank elsewhere and cakes at Secret Recipe cannot attract me anymore. I agree with you 100%. Their standard(food and service) is getting from bad to worse…. menjunam and menjunam! 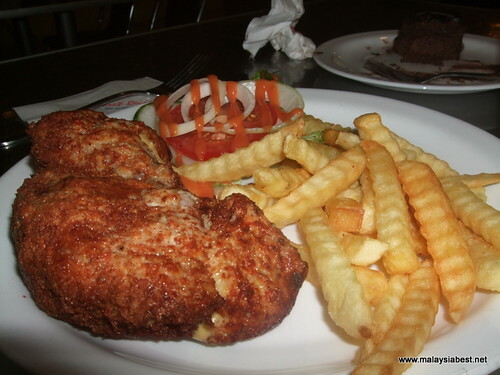 Once, I bought some chicken cornish from their outlet in Autocity Juru during lunchtime to eat when back in office. 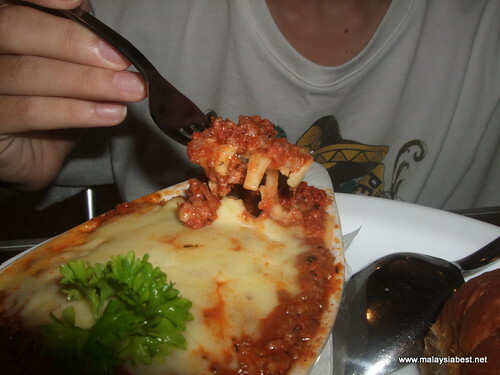 To my horror, the fillings were stale… basi!!!!! And its only around noon. When contacted, the manager in-charge so “sombong-ly” said that their cornish were made fresh daily. Hmm… somemore blame me that I left it in the car for too long, thats why it became basi. Yaaa…. 30 mins drive back to the office is toooooooooo looooooong! From that day onwards I did not step into any secret recipe outlet anymore. Like you, I found better food elsewhere. It’s been like ages since my last time dining at Secret Recipe. Their standard dropped a lot! Maybe Secret Recipe is affected by the bad economy that they had to sell less than fresh cakes these days. I felt cheated when the brownies I bought from their Jusco Seremban 2 outlet was so dry and stale I dare not serve it to my guests. A result of over-franchising and cannot maintain standards. The last time we ate in Secret Recipe was in January this year to celebrate one of the kids birthday. Thought of getting the birthday cake to bring home. But due to the bad food, and being mad summore with the price, we cancelled buying cake and got it from a bakery nearby. After that, no more Secret Recipe for us la…very frustrating. The cakes are ok but the food there is like plastic. The chicken cordon bleu is like rubber. Just stick to the cakes. sorry lah, no more secret recipe for me since long time back. but whenever we pass by the shop, it is always full, especially during lunch hour. nowadays, with this economy, ppl still can spend rm 10 for lunch meh? Limited choice of menu and very pricey for the type of food they serve. So there is nothing for you to go back for.